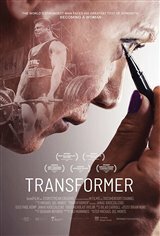 Transformer takes a look at the life of world record powerlifter Matt "Kroc" Kroczaleski who was publicly outed as being transgender in the summer of 2015. Now, facing intense scrutiny from her family and community, the documentary follows her as she changes her name to "Janae" and struggles to find her place in the world. Torn between wanting to become a feminine woman but reluctant to lose her incredible muscle mass, Janae finds herself alternating between her two conflicting identities and fearing the psychological and physical effects of following either path.